Jump to video Room for lions? 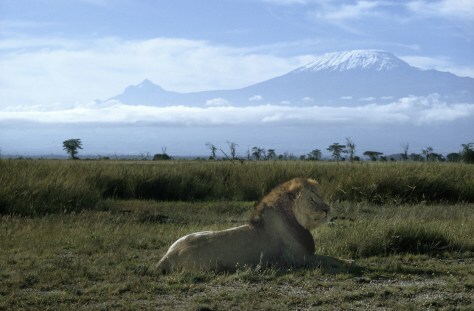 A male lion rests in Kenya's Amboseli National Park with Mount Kilimanjaro in the background. The lion population at the park is thought to have dropped to fewer than 100.